Historic Lichfield was packed with visitors eager to find out more about the many old and interesting buildings that make up this attractive cathedral city. 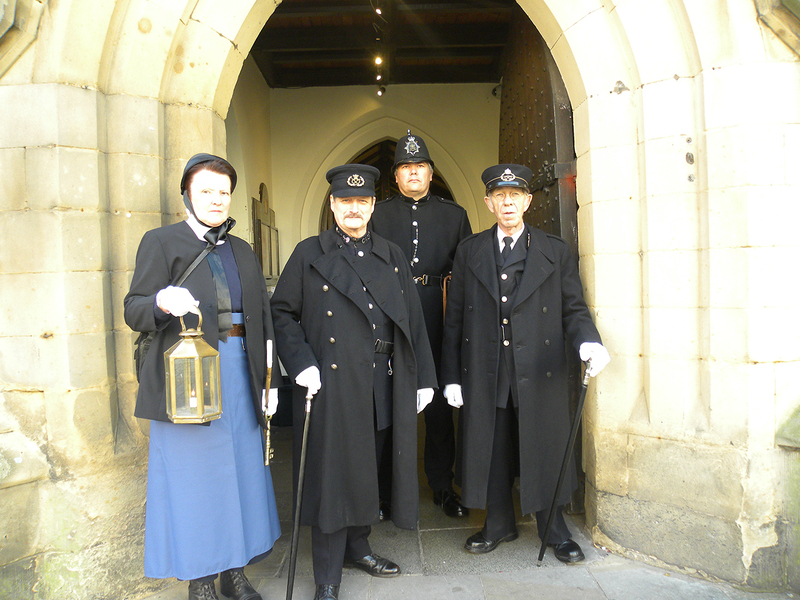 The doors of many of Lichfield's ancient and historic buildings threw open their doors - some for the only time this year - as part of Lichfield Heritage Weekend which took place on Saturday 20 and Sunday 21 September. 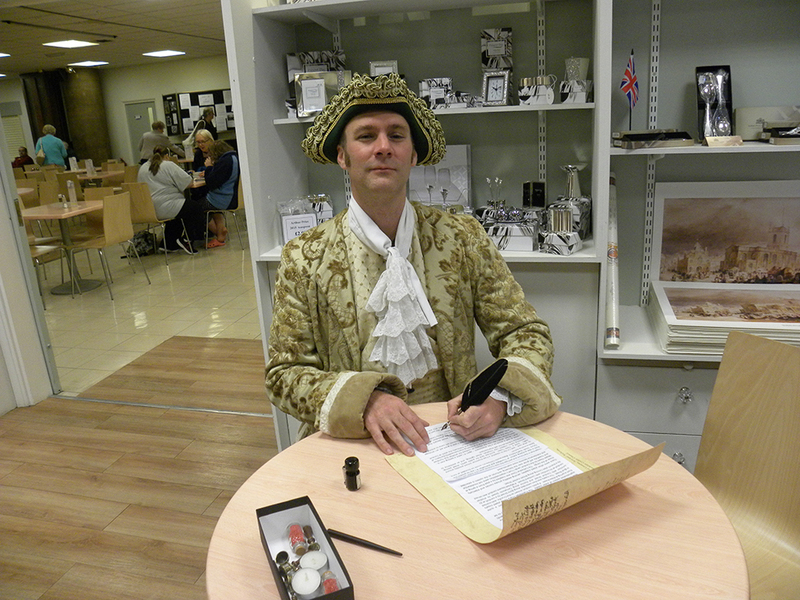 The theme of the heritage weekend was 'Making History', providing an opportunity for people to celebrate Lichfield's creative past and present. 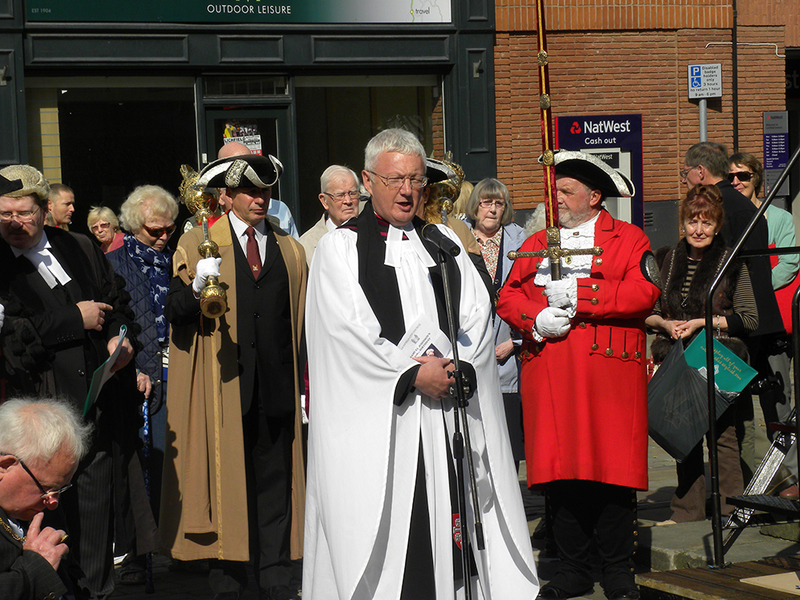 But there was also the secondary occasion of Samuel Johnson's 306th birthday celebrations which took place in the Market Square on Saturday. A wreath was placed on the statue of the great literary figure and a birthday cake was also shared among visitors, but the last slice had gone by the time I got there. Historic venues that took part in the Heritage Weekend included Lichfield Cathedral, The Samuel Johnson Birthplace Museum, Erasmus Darwin House, and the church of St Mary's in the Market Square. There was also a rare chance to see Dr Milley's Hospital, one of the oldest remaining buildings in Lichfield which has been providing a refuge for women in need since the 15th century. Having been rebuilt in 1504 the alms house still provides homes for 10 women today. Another hidden gem opening its doors was St John's Hospital, an alms house for men aged over 60, while visitors could also explore Wade Street Church and the City Cells in the Guildhall, where visitors could meet costumed characters including police officers from bygone days courtesy of The Black Country Players. The crowds were certainly boosted by the fantastic weather over the weekend, but Saturday's numbers were surely swelled by the activities and entertainment in the Market Square on Saturday, including face painting, trails, a craft tent where children could make a mini well dressing, and performances by Intimate Theatre and the City of Lichfield Concert Band. Children were also invited to take part in a craft activity using quill pens within St Mary's itself, aided by costumed historical characters such as benefactor Hector Beane, played by Alan Rowe. 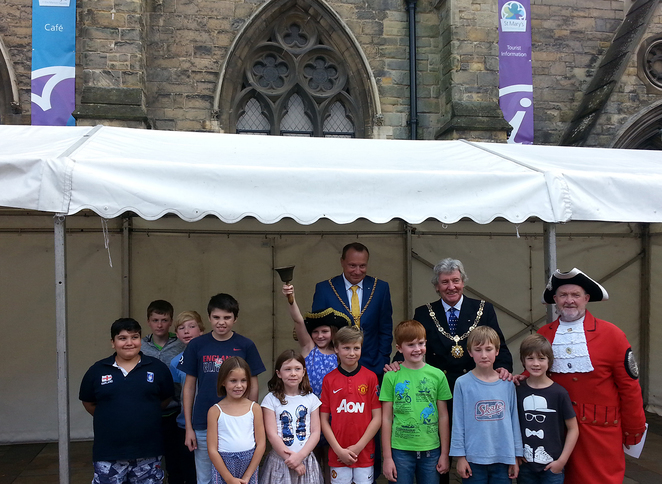 There was also a Mini Town Crier Competition won by seven-year-old Freya Watson. To add to the weekend fun, Lichfield Waterways Trust ran a number of popular tours while on Sunday Beacon Park ran a workshop, inviting visitors to create their own family seal and turn their paper designs into clay plaques.